Former skeptic Josh McDowell is now joined by his son Sean as they examine the evidence about Jesus. Is he really the Lord he claimed to be? How can we know for sure? 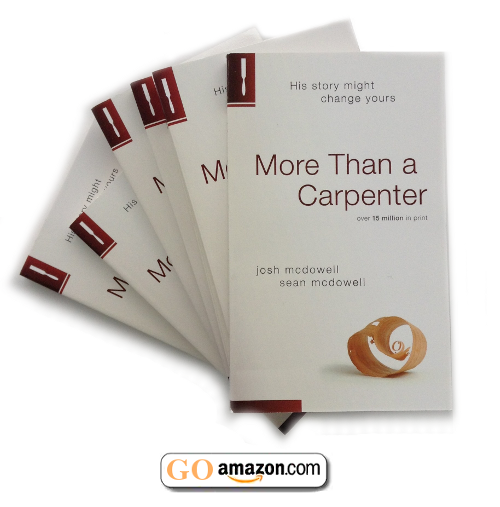 More than a Carpenter offers arguments for faith from a skeptic turned believer. Since its original publication in 1977, this modern classic has sold over 15 million copies, been translated into dozens of languages, and introduced countless people to the real Jesus. Now with new content that addresses questions raised by today’s popular atheist writers. Audio edition read by Sean McDowell. While in the US Air Force, I was stationed on Guam, where a friend of mine had a copy of this book, which he had borrowed from a friend. He explained a little about it and told me he really enjoyed reading it. He said that his own faith was greatly increased. I thought that sounded pretty good, so I asked him to let me borrow it. I did, it was awesome, my own faith grew tremendously,and I couldn’t help but to tell another friend of mine all about it. So, this next friend borrowed it, he thought it was great, it made a great impression on him (he was a newborn Christian, at the time, and 12 years later he still has a very close walk with the Lord), and then a friend of his borrowed it! So, finally we had to get the book passed back up the food chain, from friend to friend to friend to friend to friend, just to get it back into the hands of the original owner (I can only assume that he hadn’t borrowed it, too). That was around 1989 or 1990.12 years later, I was thinking about how great of an impact that little paperback book had on me and was telling my wife how grateful I was to have ever come across it. She decided to buy 18 copies of it for me, for Christmas. So I gave copies to some family members and friends from work. 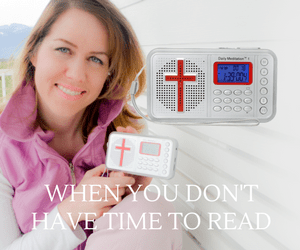 Previous articleA Relationship With Yeshua Isn’t A Bore!